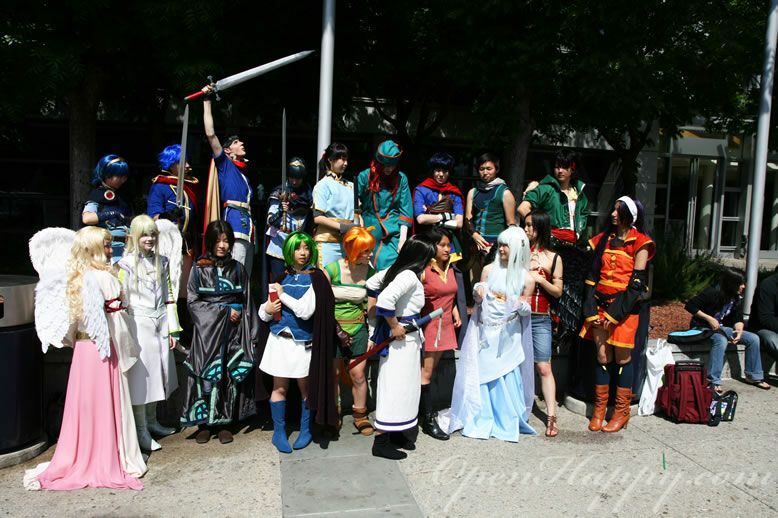 Fanime is an annual anime convention run by the Anime Resource Group (ARG). 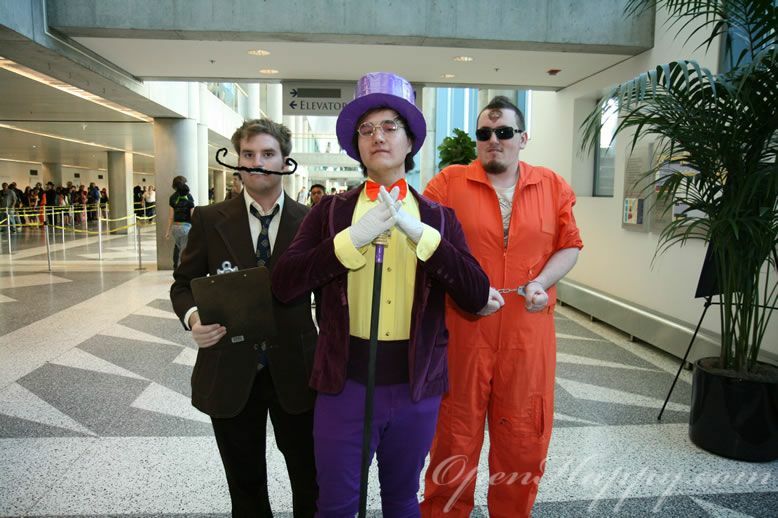 It is the one of the ten largest anime conventions in North America. It is held in San Jose McEnery Convention Center at San Jose, California. 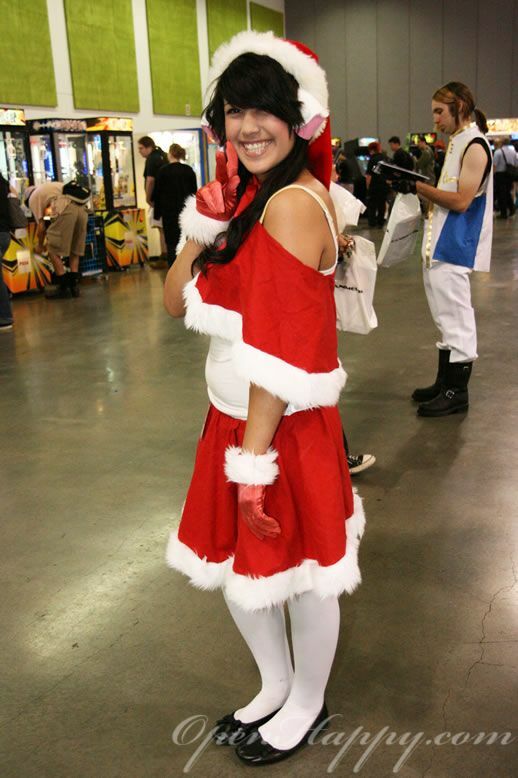 14,926 people attended Fanime Con in 2008. With the econmy going downhill in 2009 and the wide discussion on how tough it is to be in the anime business these days, we are actually not expecting the anime conventions to do well this year. We have known a few big vendors who just decided to put out of providing big vendor booth in AX. So, we are worry about fanime as well. 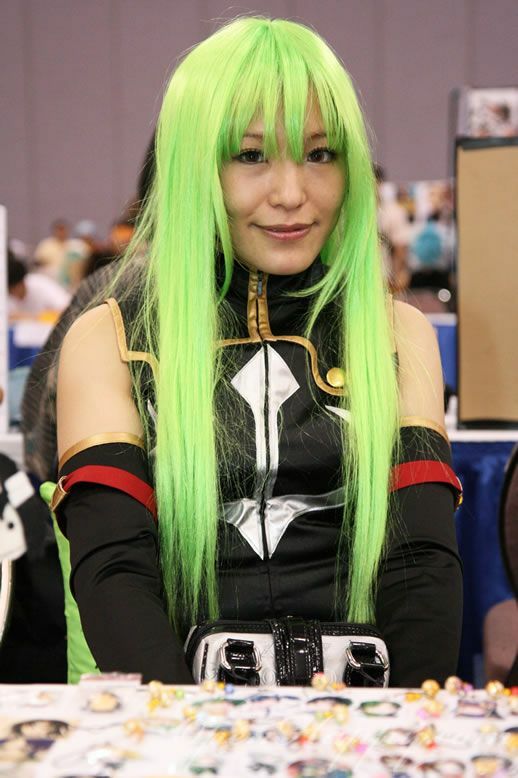 But boy, what a pleasant surprise we have in Fanime 2009! The registration line length improved a lot compared with other years. We only waited for 15 min before we got my pass. Staffs are friendly in general with a few exception doing line control for special events/concerts. (Some people got yelled at ...) However, if you drive in from local areas, the parking is pricey ($20-35). Dealers room are only OK. I guess this reflect how the economy is doing. The bigger local companies are all missing. There is no Gaia Online, Viz Media, Capcom, etc. etc. Another problem with the dealers room is the prices are just not as good as the Internet even if you take the shipping away. We enjoy artist alley the most in the con. You can find very original items by local artist. Prices are reasonable and you can always find unique items there. "Akihabara Idol" Halko Momoi was here and her Friday afternoon panel was packed with fans. People was so excited to see her. Some of the fans are actually crying as they asked her questions enthusiastically. She also waved from the stage and chatted with as many people as she could. Momoi also talked about her involvement with her role as Komugi in Nurse Witch Komugi - a picture of otaku culture. She also mentioned the chance of writing a light novel. We will have to wait and see on that. Mmmm, it is a mix bag here. Most of the rooms are pretty empty most of the days. The room is only filled when there is a popular series showing (such as Naruto, etc.). Maybe more description/introduction on all anime showing will be good to encourage people to see something new. Man, the arcade games are expensive. As a result, not too many people are playing them when I am there. We are happy to see fanime still set up room for arcade to help us remember what it was like. Arcade is just not the same anymore with people having access to PS3, xbox 360, Wii,, etc. at home. You can be a true otaku and enjoy a drink and snacks from the Maid Cafe. The cafe is popular and the lines are long at times. You can see the registration line on the left. An artist in the artist alley (selling buttons). The arcade room. It feels a little too big with not enough machine in the middle. A corner of the dealer's room. Most people are looking instead of buying. I talked with a few dealers before we wrapped up on sunday, and unfortunately, they are just counting their losses. 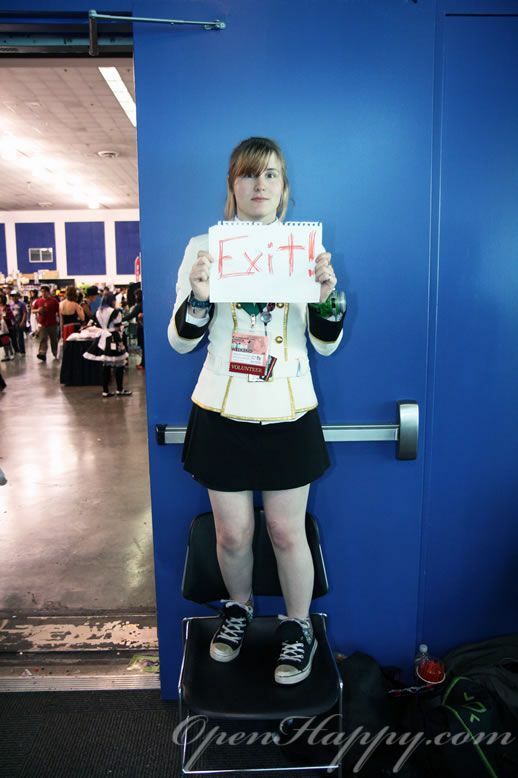 The exit sign of the dealer's room. A big improvement in fanime is that the updated cosplay gathering are posted in the entrance, so it is very easy to find. Hope these pictures bring back some good memories.